How should I price my car? I’ve sold my car. What do I need to do next? Who will be purchasing my car if I it sell through Instant Offer? carsales has partnered with reputable wholesale buyers* who have an interest in buying cars through the carsales network. You will be matched with your closest buyer to facilitate a simple and quick sale. *A wholesale buyer is a licensed motor vehicle dealer that purchases cars to sell again through a dealership, just like a trade-in. How is the offer calculated? What are the offer conditions? For the buyer to purchase your car for the offer price, it needs to meet a number of conditions. These will be checked off at time of inspection. Firstly, the details and description you provided online about the car must match the car being inspected. For example, if you select the wrong year, transmission, or badge/series, the offer will be void. Therefore we encourage you to take special care in ensuring the details provided are correct. - Does not meet our Unfair wear & tear damage assessment. Applicable to both the interior & exterior of the car. 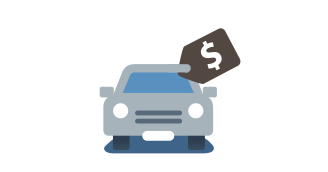 If your car doesn’t meet the conditions or meets only some of the conditions, then the buyer may choose not to proceed with the sale or offer you a lower amount than originally offered. How do I accept my Instant Offer? Simply go to carsales.com.au/instant offer and enter your car details. 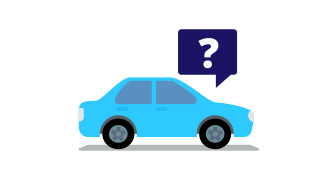 Once you answer some general questions regarding the condition of your car, you will be prompted to sign in, you will then be shown your instant offer. From this screen, you will be able to accept your offer. If you previously have a current offer, click here to view the offer and follow the prompts to accept. Should you have any problems please contact our customer service team on 13 72 53 (13 SALE). After you have accepted your Instant Offer, you will be contacted by our wholesale buyer to organise a suitable inspection time and location. Where is the wholesale buyer located? carsales has partnered with multiple buyers around Australia. Once you accept your offer you will be matched with your closest buyer location for a convenient and quick sale, they may also be able to organise a mobile inspection for you. Once I’ve accepted the offer, what’s next? 1. You will receive a confirmation email from us outlining the details followed by a call from the buyer to organise a suitable inspection time and location. 3. Once the check is completed, the inspector will confirm with you your instant offer price. If you accept, the buyer will assist you in completing transfer of ownership documents, as well as finalise the transfer of payment for your car. Money will usually be in your account by the next business day. Note: If your car is currently under finance, you’ll need to speak with your lending financial institution and ask them to provide a letter detailing the payout figure outstanding on the loan – please have this letter ready at inspection. If I cancel the offer, can I still use this service at a later time? Your offer is valid for 7 days* and can be taken up at any time during this period. If you choose not to accept this offer within 7 days, you may or may not receive a new offer in the future. As the price of your car will change with market, we cannot guarantee that you’ll still receive the same offer previously made. To review your current offers, sign in to your carsales account. Can the buyer adjust the Instant Offer or refuse to buy my car once the car has been inspected. Your offer is valid for 7 days* and can be accepted at any time during this period. If you choose not to accept this offer within 7 days, you may or may not receive a new offer depending on our market analysis. As the price of your car will change with the market, we cannot guarantee that you’ll still receive the same offer previously made. What if my car is currently financed? Your offer is still valid, even if your car is currently under finance. 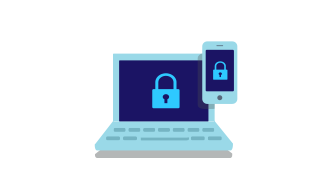 All you’ll need to do is provide a current payout figure provided by the financial institution to the wholesaler, who will help you through the remaining processes to complete the sale. How will I be paid for the sale of my car? 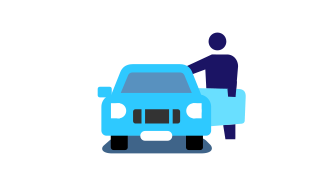 Once the sale of your car has been finalised, our buyer will be able to arrange a bank transfer into your account which will be processed the next business day after the sale. If your car is currently under finance, please allow time for the transactions to be finalised with your lending financial institution. What documentation will I need to complete the sale of my car? Note: If your car is currently under finance, you’ll need to speak with your lending financial institution and ask them to provide a letter detailing the payout figure outstanding on the loan – please bring this letter to your appointment. Will carsales or the buyer arrange transport for my return home after selling my car? You will need to arrange your own transport home after selling your car. The staff at each drop-off location will be able to direct you to the nearest public transport facility. The instant offer is not negotiable. If you have any further questions about our Instant Offer service, please call the carsales customer service team on 13 72 53 (13 SALE). For instant offer terms and conditions, click here. * Instant Offers that are received as part of an ad on carsales expire after 24 hours unless stated otherwise.